BERLIN Displays Custom Window Graphics will make your brand and inspirational team message exciting and drive traffic to your display. Custom Window Graphics, pressure sensitive vinyl decals, are helping to create the retail spaces and offices of the future. The new trend with employees working from home is becoming a reality. Employers are now planning web conference meetings and/or transporting work teams to head offices for a few days of meetings at a time. 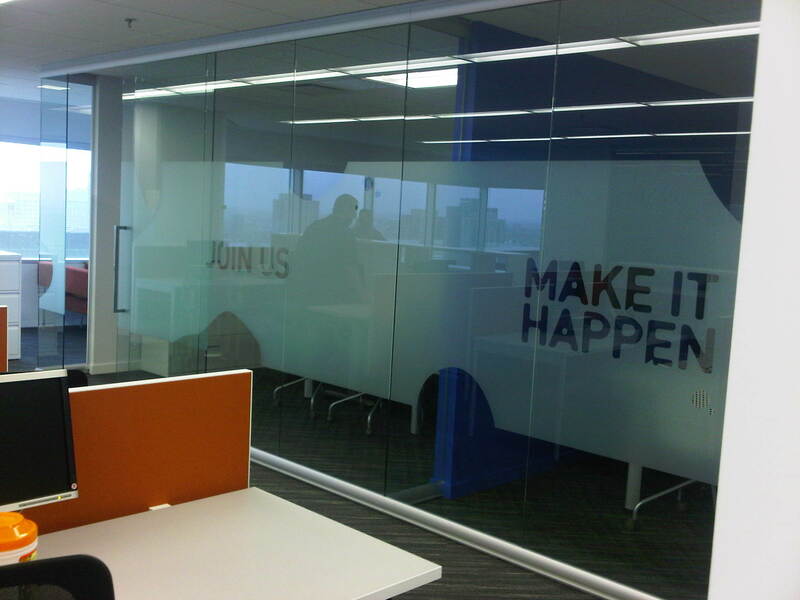 These modern office work spaces with window graphics are being used to promote inspirational messages with company images and brands in spaces such as waiting areas, cafeterias, and other common areas. 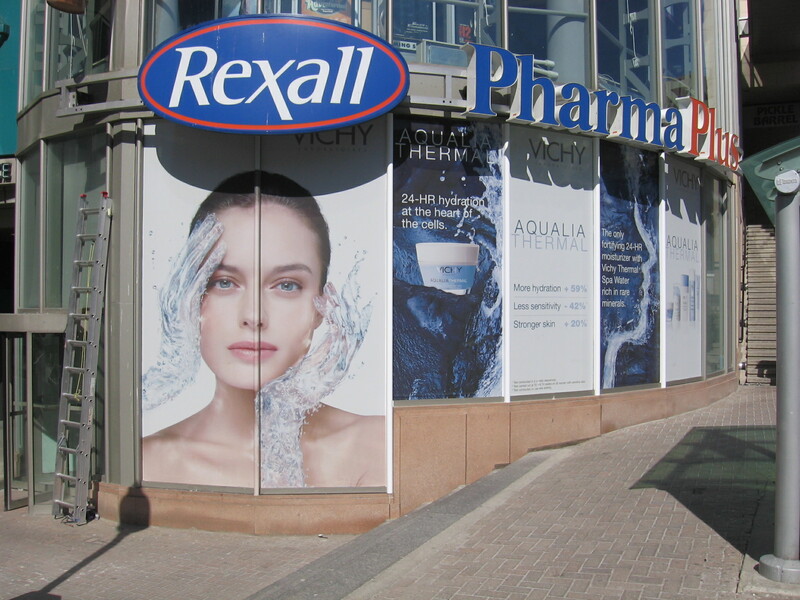 Retail spaces often have curtain glass walls that invite clients into stores. These large expanses of window can be transformed into colourful billboards, showing store interiors while providing product branding and features. Our team of creative designers can use your messages and graphics to design custom window graphics and pressure sensitive decals to meet all your retail and commercial needs. Where can you use Custom Window Graphics?